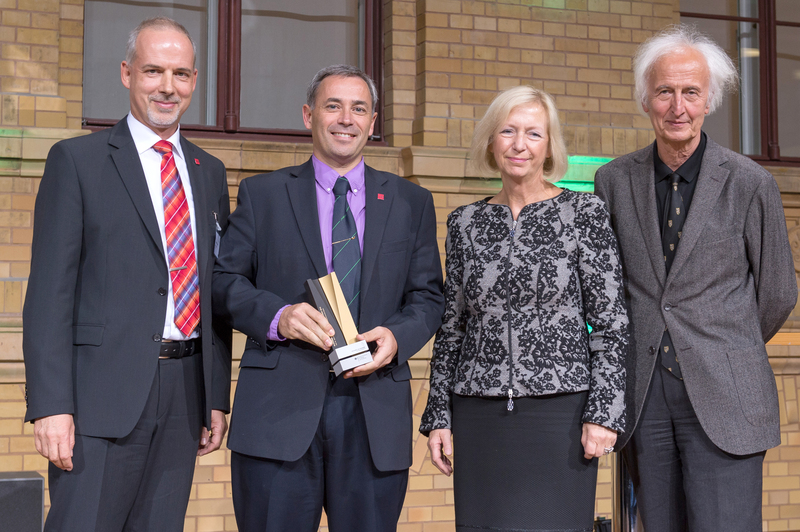 The German Federal Minister of Education and Research, Professor Johanna Wanka, and the President of the Alexander von Humboldt Foundation, Professor Helmut Schwarz, have today conferred one of six prestigious Alexander von Humboldt Professorships to theoretical physicist Professor Jairo Sinova of Johannes Gutenberg University Mainz (JGU). In addition, Professor Stuart S. P. Parkin, Director of the Max Planck Institute for Microstructure Physics in Halle, Germany, a Fellow of the JGU Gutenberg Research College (GRC), and an external member of the Graduate School of Excellence "Materials Science in Mainz" (MAINZ) at Johannes Gutenberg University Mainz, is also among the award winners. 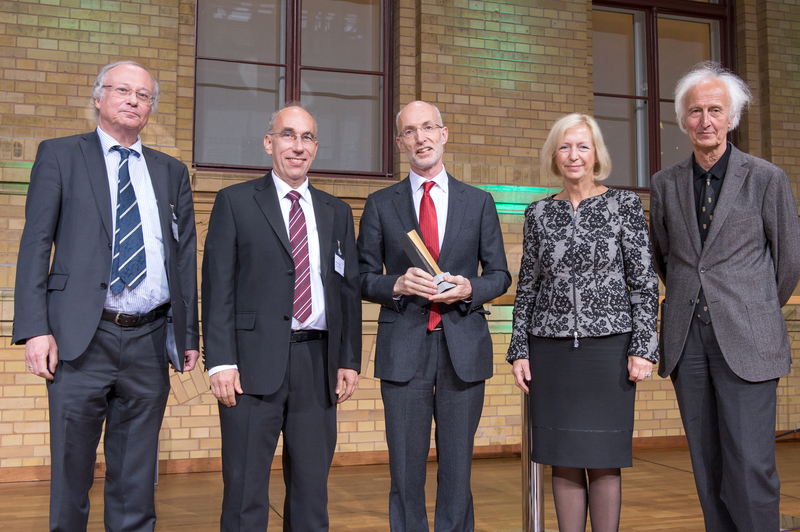 The Alexander von Humboldt Professorship is Germany's best-endowed research award. In 2014, the Humboldt Foundation confers it on six leading international researchers from all disciplines. The Gutenberg Research College (GRC) was established in 2007 as a central strategic tool to attract excellent researchers to Johannes Gutenberg University Mainz – a milestone on the path to excellence-oriented university governance. Its executive committee is made up of outstanding researchers from JGU and its non-university partner institutions. Committee members are appointed by the University President in consultation with the University Senate based on their research achievements. The GRC advises the University Administration and the Senate on strategic aspects of research and also promotes individual excellence by awarding fellowships to outstanding researchers. The MAINZ Graduate School of Excellence was initially approved in the first round of Germany’s Excellence Initiative in 2007 and received a five-year funding extension in the second round in 2012 – a huge success for the Mainz materials scientists and a massive boost for the promotion and mentoring of young research talents. The MAINZ Graduate School is a joint project of Johannes Gutenberg University Mainz, the University of Kaiserslautern, and the Max Planck Institute for Polymer Research. The field of spintronics is a special focus of research at MAINZ and benefits from the cooperation with leading international partners. MAINZ provides for the excellent training of outstanding doctoral candidates from Germany and abroad in the field of materials science.